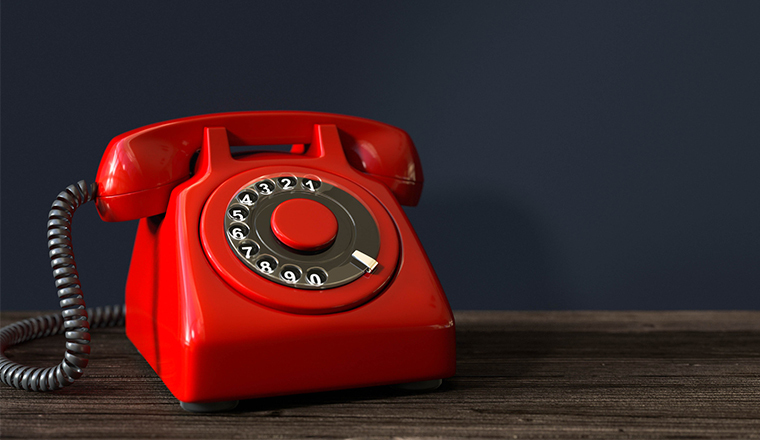 When we think of outbound dialling we often think of debt recovery, where the customer’s feelings fall second to recovering outstanding money, or even double-glazing sales where it is all about reaching as many people as possible. However, in today’s competitive world, it is no longer sufficient to advertise and expect the market to come to us by way of an inbound call. Existing customers need to be stroked occasionally to encourage them to be loyal and fewer new customers find us, we have to go in search of them. 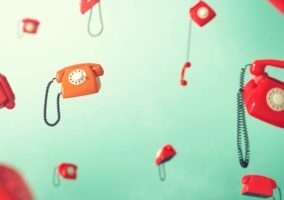 In addition to debt management and debt collection, companies are also looking to increase their customer service levels, as retaining existing customers is far less cost intensive than attempting to win new ones. As a result, companies are proactively making contact with their customer base on a more regular basis in order to increase customer service. As well as increasing the number of touch points with the customer, proactive outbound dialling can also be used to increase the revenue derived from your customer base by up-selling or cross-selling new products to your ongoing customers. Outbound should be a core part of any organisation’s go-to-market strategy, it is a way of developing valuable customer relationships, and done right it is a way of getting the appropriate proposition to an accurately targeted market. Acquiring new customers is most definitely a ‘hunting’ exercise and not a case of get your proposition right and they will find you. Off-the-page advertising, TV advertising, direct mail or eShots all raise awareness of you, but with so much choice available to consumers, very seldom do organisations get more than a fraction of a percent responding to a call to action. The smart organisations are identifying the ‘sweet spot’ in terms of their proposition, specialised car insurance, over 50s holidays, etc. Segmenting your target audience with a highly targeted and differentiated proposition enables you to turn the whole UK population into a manageable set of potential prospects. By following up direct or email marketing with a telephone call you can increase interest ten fold, especially if the follow-up is performed in a timely manner. These metrics change the game and suddenly make outbound telemarketing a cost-effective part of the marketing mix. It is easy to imagine the scenario, we are browsing a website, we have a real interest but we cannot find the information we need or have questions that the website just does not answer. What do we do, we leave that site and move to the next one, after all, there is plenty of choice. We have seen a number of companies in the past couple of years connect their website to their contact centre. Some simply put a ‘Call Me’ button on the site, the customer clicks the button, enters their details and then receives an outbound call from the provider. Others are being even smarter, they are collecting the customer’s name and contact phone number very early in the browsing/quote cycle. If the customer abandons the process, they are then passing this through to the contact centre for an outbound call. There are some examples where organisations have converted over 20 percent of abandoned browsers into sales, simply by injecting the human touch into the process. It is the goal of every organisation to increase the number or value of products and services that a customer purchases from them. Take, for example, the insurance company, they would love to sell home insurance to every motor policy customer. However, very few organisations do anything other than the occasional mail shot to turn their desires into reality. Many years ago there was a great example of this working in action. A major financial services organisation was providing unsecured loans. Once the customer had been accepted for the loan, rather than just sending out a letter, a small team would call the customer in the evening to give them the good news, while on the call this team would convey the benefits of income protection insurance on the loan. Take-up of income protection went up by over 300 percent. If you do it in a considered manner, not too frequently and using professional staff, a ‘how are you doing?’ call to your customers can be very productive and worth every penny of the investment in the outbound activity. With all of the systems we have in place regarding customer relationship management, policies, loyalty schemes, frequent-flier programmes, etc, we keep very close tabs on our customers. However, when was the last time you got a call from your favorite airline enquiring why you had not been flying recently, or from your supermarket asking why you are no longer using your Nectar card, etc. Many organisations have a customer retention team in place, yet most of these are reactive to when the customer has decided to move away. With the cost of winning new customers so high, surely there is a way for us to be more proactive. Trying to put some of these outbound activities in place with manual dialling makes them cost prohibited. Punching in numbers from a list and listening to a ringing tone is both erroneous and time consuming. By automating the dialling process, even by autodialling from a screen, you can reduce non-productive time by 100 percent, by using predictive dialling productivity can be increased by as much as 300 percent. If we take this into account, we suddenly find that our outbound agents have more time or that we are able to do some of the above activity with little investment in staff. A return on investment that surely cannot be ignored. Could Diallers Play a Longer Term Role in Rebuilding our Economy? 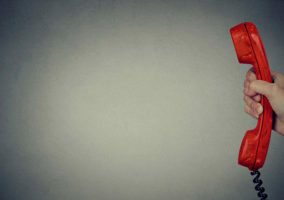 The dialler market and use of diallers is diminishing in an increasingly regulated market where Ofcom becomes more aggressive in its distribution of fines. Is it any wonder that people are being put off using diallers? Set against a backdrop of mounting distrust in the financial sector – after all if you can’t trust banks who can you trust – are people really going to be persuaded to buy your product just because you happened to contact them and get through to them. The other angle of course is do people actually have money to spend as reports suggest that more people than ever before are taking packed lunches to work and cancelling charity subscriptions – a sure sign of battening down the hatches and preparing to weather the financial storm. The good news is that among all this there is still a place for diallers. But this is based on the premise that diallers should be used in a smarter more focussed way, rather than taking the bull in a china shop approach. For example latest technology developments have seen the arrival of click-to-talk applications which are integrated into CRM systems such as ‘Salesforce’ and which incorporate dialler technology. This enable agents or sales personnel when reviewing customer data to ‘click’ on the contact phone number; this in turn dials the number, then simultaneously connects the agent and records the call. This type of technology gives users the ability to leverage CRM systems to profile target audiences more efficiently than ever before, although you don’t get the mindless efficiency you would get from a predictive dialler you will benefit from higher success rates from more targeted and focussed progressive dialling. As the financial sector corrects itself and begins its returns to how it was many years ago and with the possibility of future re-liberalisation of this market again this brings further opportunities on the horizon for diallers. At some point these companies are going to once again need to aggressively acquire customers and one of the most cheapest, cost effective ways to achieve this is through use of dialler technology. So the question is should you invest or not invest in dialler technology for the future? Perhaps one of the best ways to de-risk this decision is to consider a hosted solution. Not only do you get immediate access to a compliant, secure system containing all the latest tools and gadgets, you don’t need to worry about upfront capital investment. Hosted dialler solutions typically employ a pay-as-you-go model ensuring you can scale up or down as requirements dictate and allowing you to turn on and off the technology as and when you need to have access to it. Customer and regulatory bodies’ opinions of diallers are not going to soften, but used in the right, compliant way, there is a place for them in the longer term in helping correct and rebuild the economy.